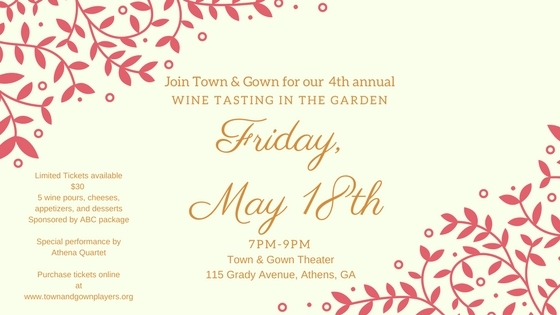 Join the Town & Gown Players for our 4th Annual Wine Tasting in the Arcadia Garden, Friday, May 18th from 7pm-9pm. Enjoy wine pours courtesy of ABC Package along with a selection of cheese pairings, light hors d'oeuvres and desserts benefitting Town & Gown's upcoming stage endeavors. 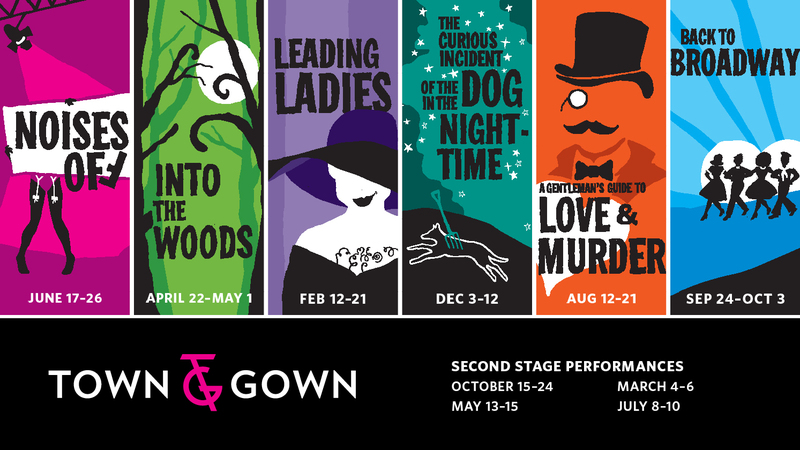 In addition, relax to the sounds of the Athena Quartet, Athens' Premiere String Quartet, and witness the unveiling of Town & Gown's upcoming 66th Season of shows. Sorry, no discount codes or passes accepted for this event.